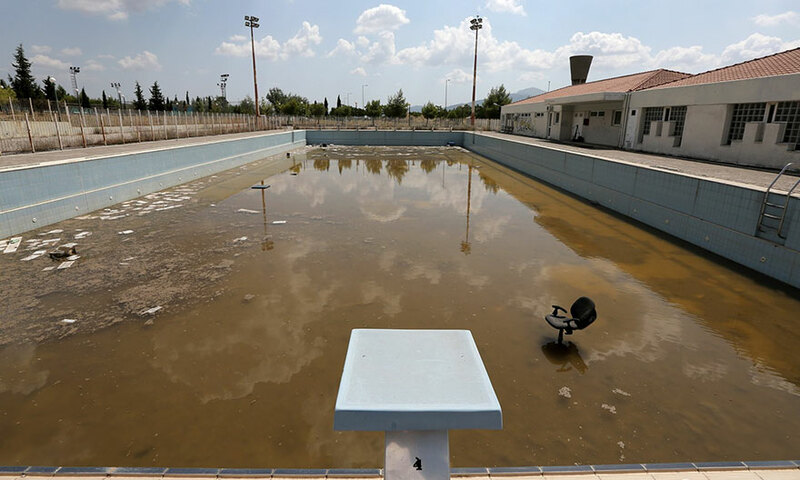 An abandoned training pool for athletes at the Olympic Village. 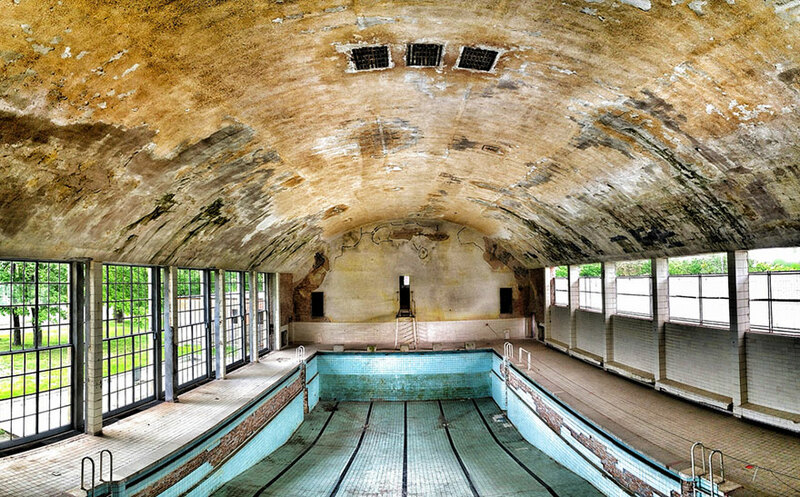 A deserted pool used during the 1936 Berlin Olympic Games. Old Soviet venue built for the Moscow Olympics in the 1980. 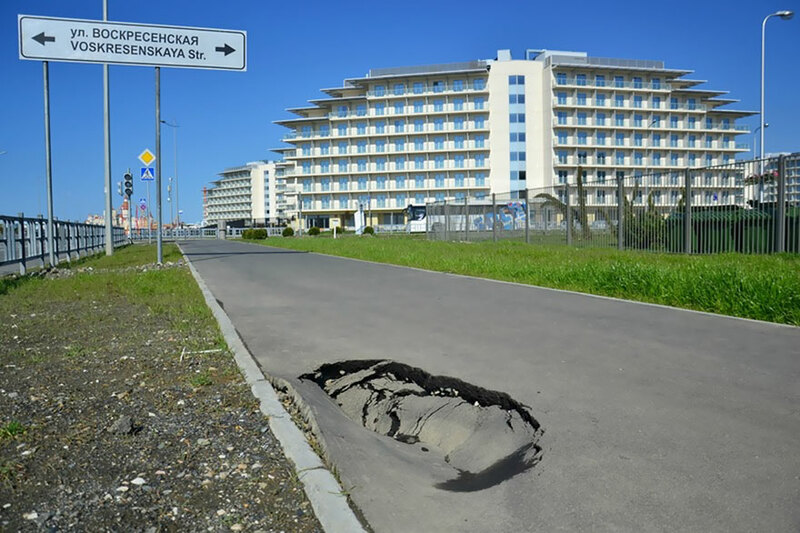 Located in Tallinn, Estonia. The Taekwondo Olympic Stadium at Faliro Olympic Complex. 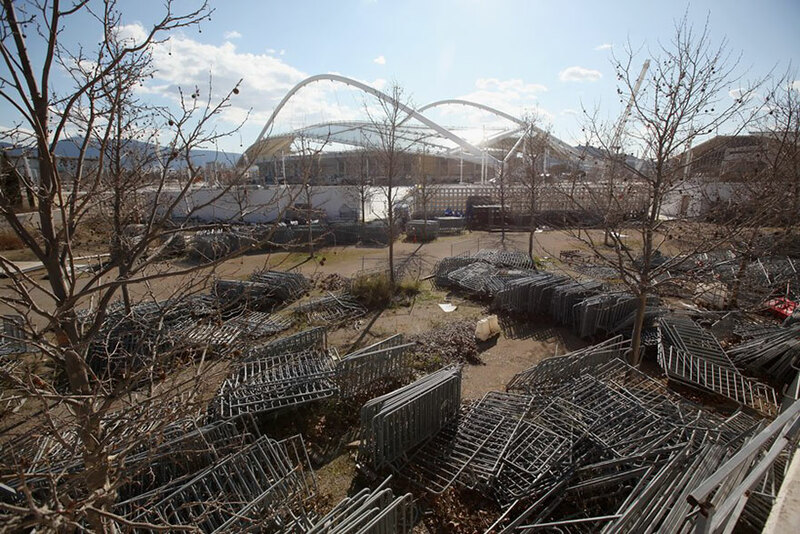 The deserted and unmaintained former venue for the kayaking competition of the 2008 Beijing Olympic Games, can be seen on the outskirts of Beijing, March 27, 2012. The gigantic infrastructures built for the Beijing Olympics, namely the "Bird's Nest", and the National Aquatics Centre, also known as the "Water Cube", are now used for cultural and sports events, reminding the world of the flare that blazed during the summer of 2008. 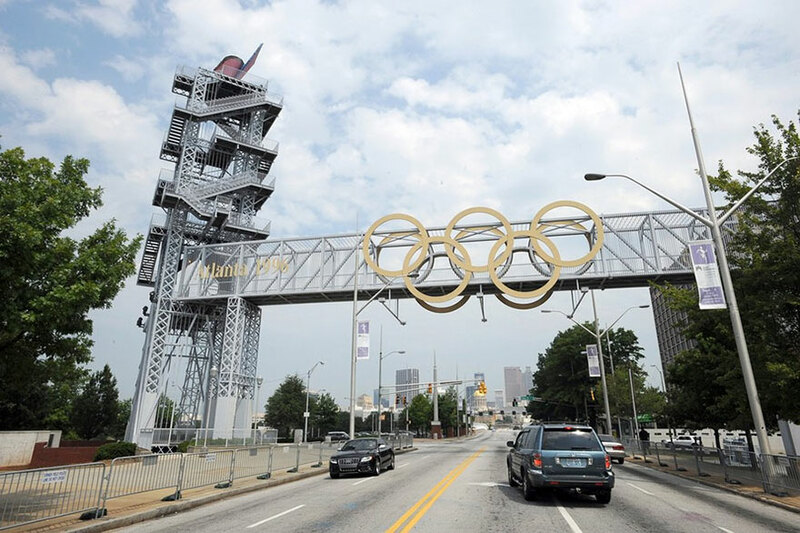 The 1996 Olympic Games cauldron is seen, Aug. 20, 2011 in Atlanta. The cauldron was moved from its original location. 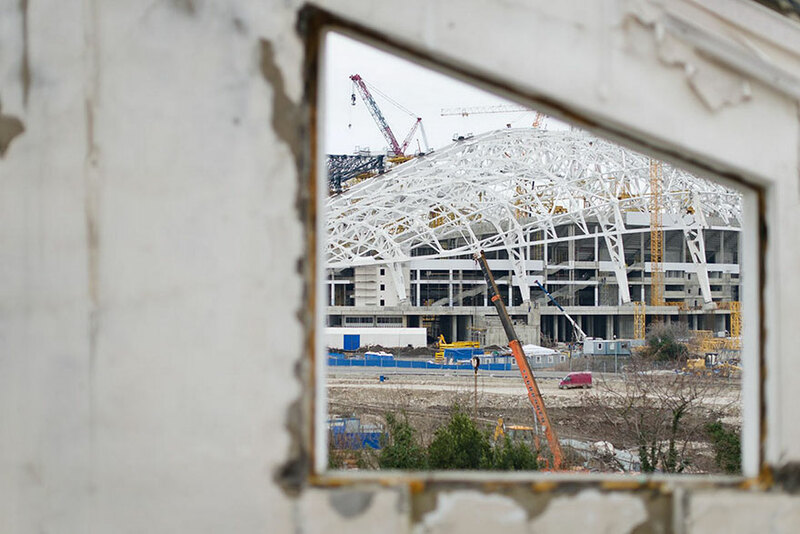 The Central Stadium for the Winter Olympics 2014 is seen through the window of a derelict house in the Sochi, Feb. 18, 2013. 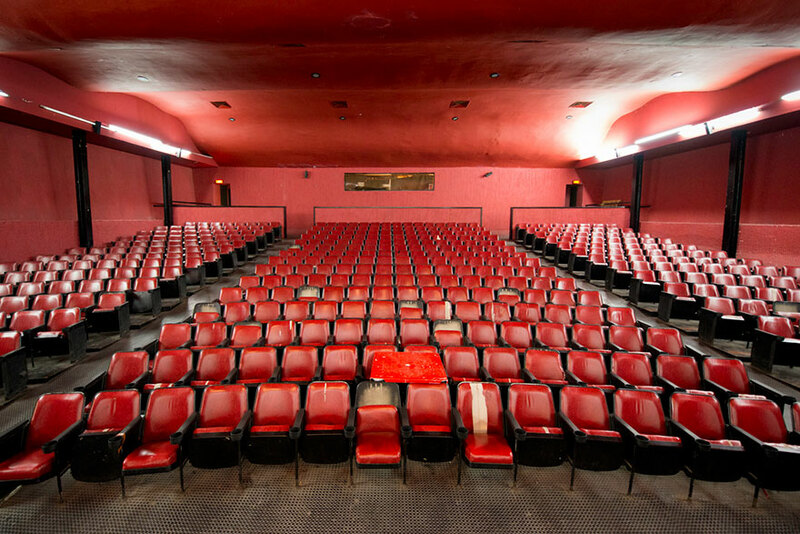 During the Games, the cinema hosted movie nights and other entertainment for the athletes. 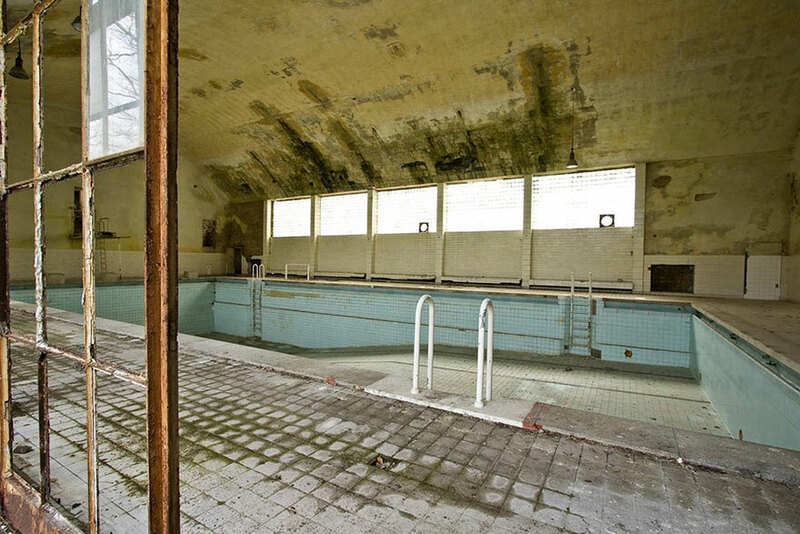 View of the swimming pool in the 1936 Olympic village in Elstal, west of Berlin. 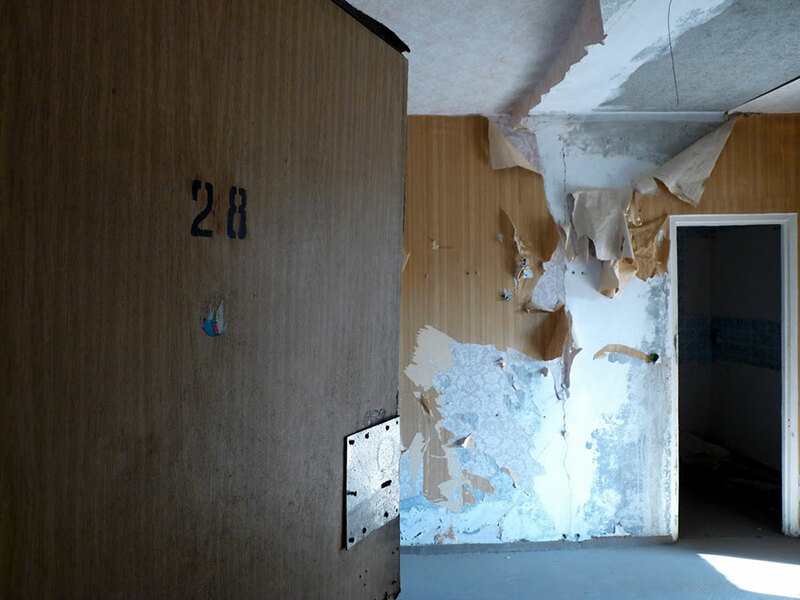 The village, which housed over 4.000 athletes for the notorious 1936 Olympic Games in Berlin, then under Nazi rule, was used as barracks for the German army shortly afterwards, and from 1945 as barracks for Russian officers, until the Russian army's final withdrawal in 1992. The first permanent Olympic village. 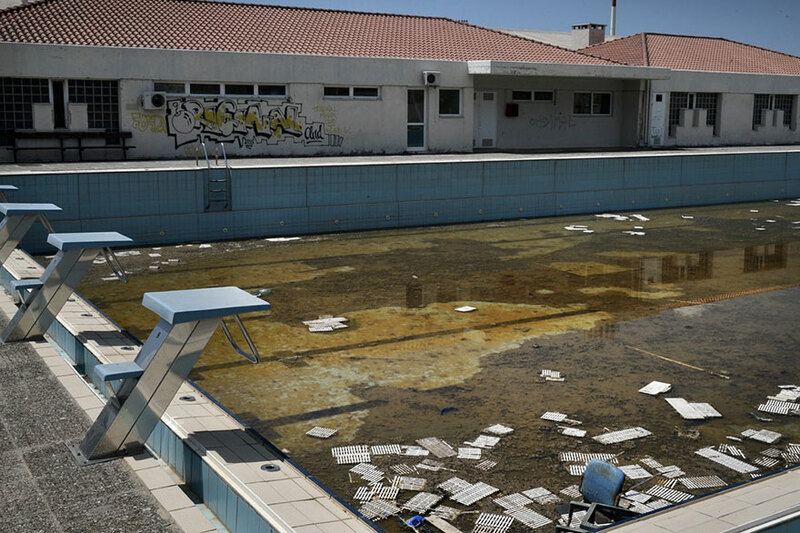 The athletes were impressed - each house had its own steward and there had never been a swimming pool before at an Olympic village. 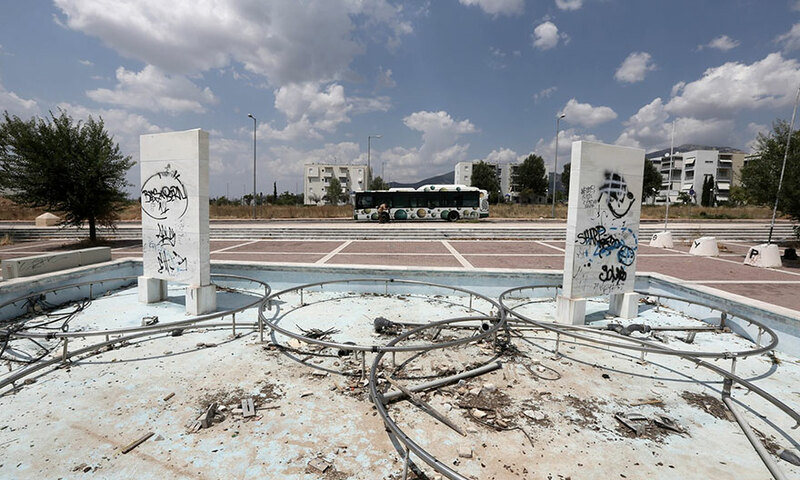 The remains of a fountain decorated with the Olympic rings and graffiti-defaced marble blocks dedicated to Greek Olympic medal winners are seen here decapitating in 2012. 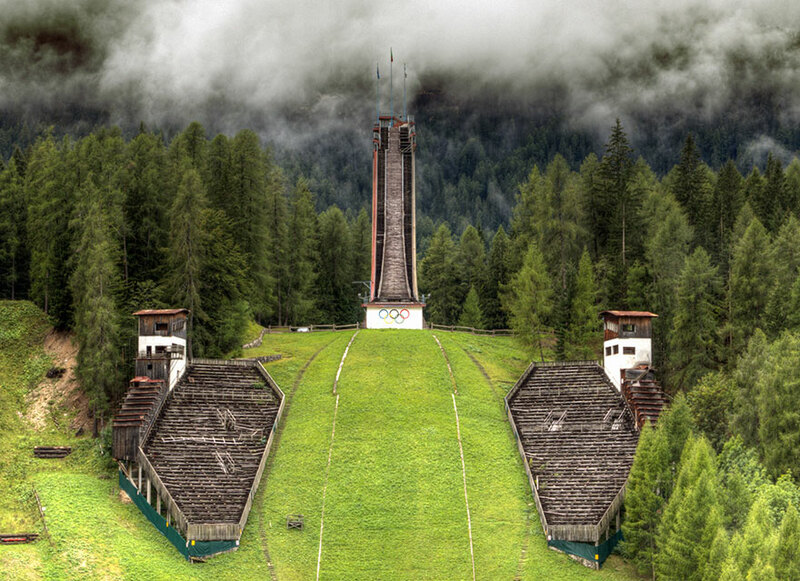 Interesting fact about these ski jumping towers is that the Swiss jumper, Andreas Dascher introduced a new style of jumping, which would soon come to be known as the Dascher technique. Before these Games, the athletes would hold their arms forward over their heads. Dascher reasoned that if the athlete held his arms at his side he would fly farther. Adherents to this new style dominated the competition. The derelict netting and scoreboard in the background on a tennis court stand at the Stone Mountain Tennis Center, home of the 1996 Summer Olympic Games tennis events, in Stone Mountain, Georgia, July 19, 2016. 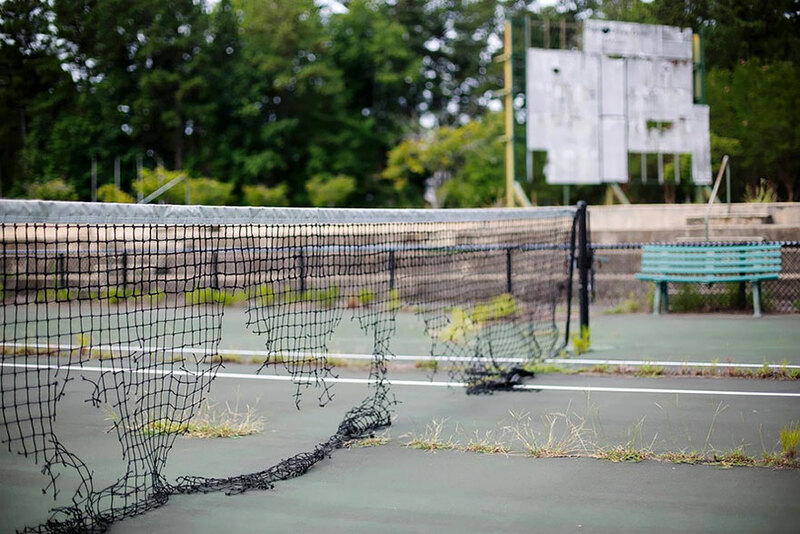 The permanent tennis facility built in a corner of Stone Mountain Park quickly became a money-loser and now sits idle, weeds growing through the outer courts and the scoreboard in disrepair. The Olympic rings on a tower above what used to be the figure skating arena. 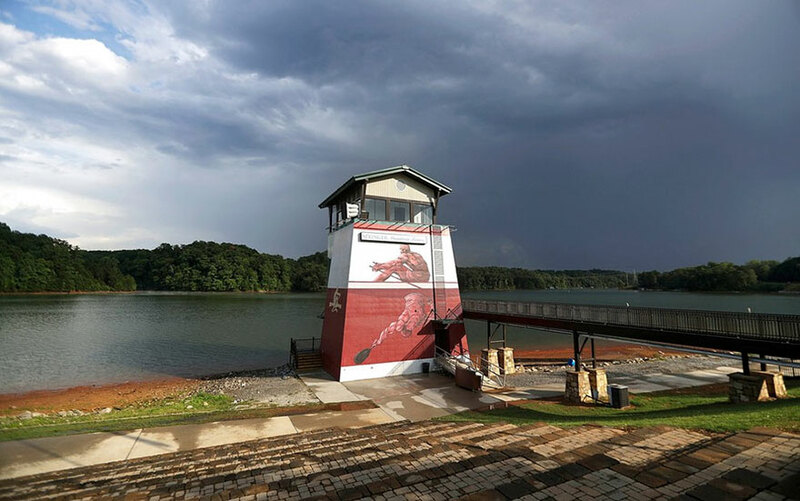 The tower at Lake Lanier Olympic Park, home of the 1996 Summer Olympic Games rowing events, stands after being renovated in Gainesville, Georgia, July 19, 2016. This man-made lake still has its rowing facilities, which have been used for major competitions over the last two decades. 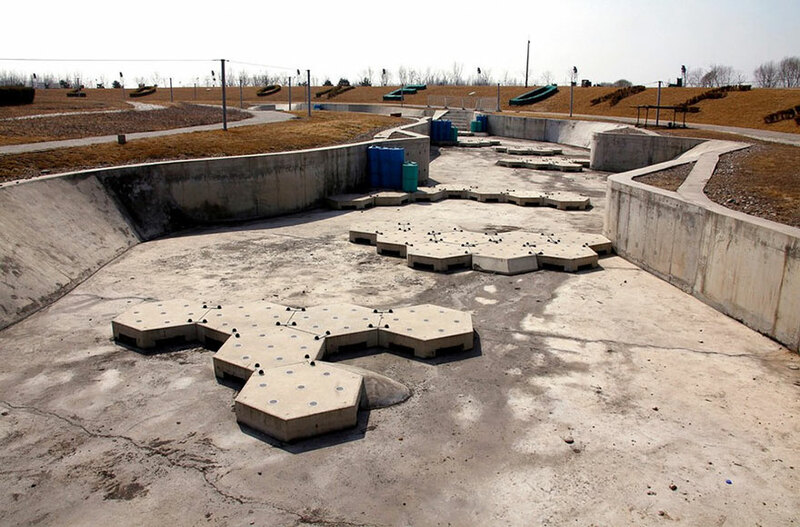 The 2008 Beijing Olympics venue for the competition lies deserted and unmaintained in central Beijing, April 2, 2012. 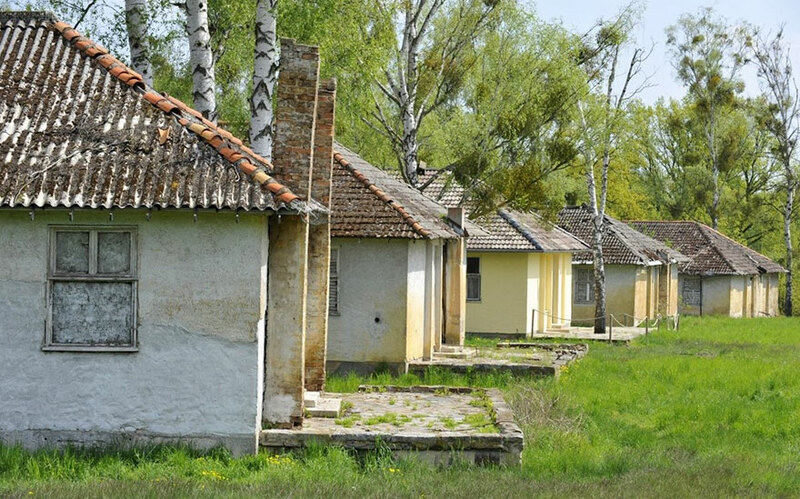 After the games the village was used as a worker housing project. 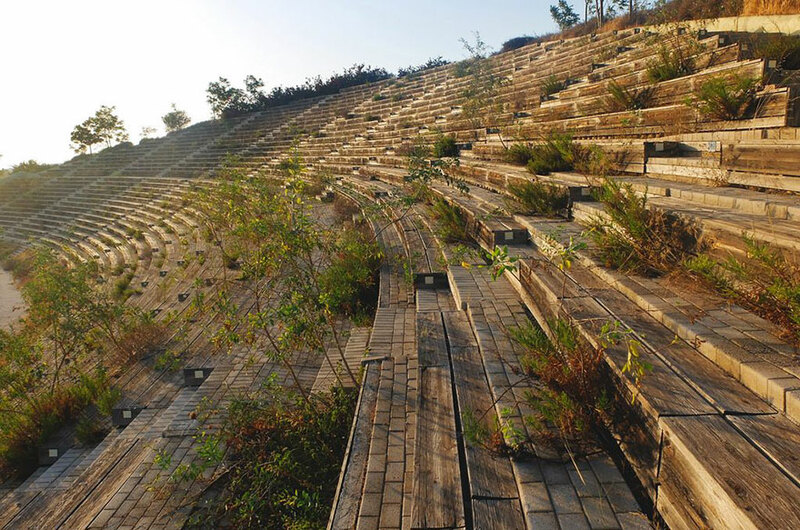 Eight years later, when this photo was taken, many of the venues remained abandoned or rarely used. 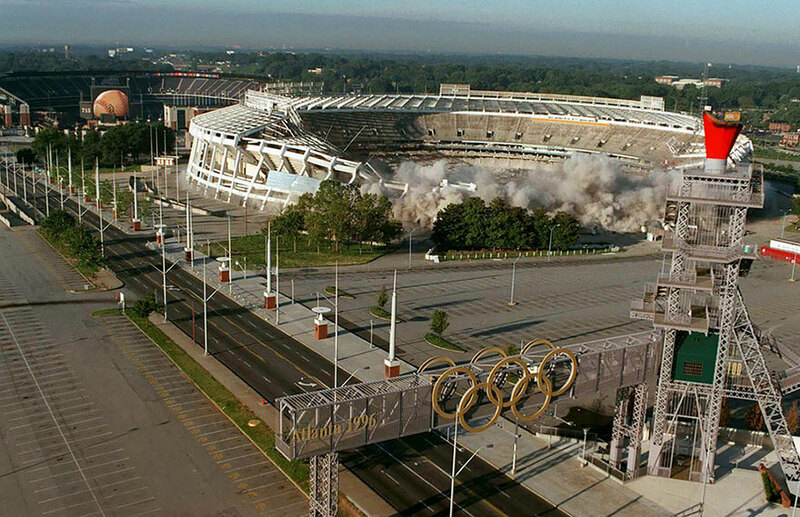 The Olympic Caldron can be seen in the foreground, as explosive charges weaken the Fulton County Stadium, Aug. 2, 1997, in Atlanta. 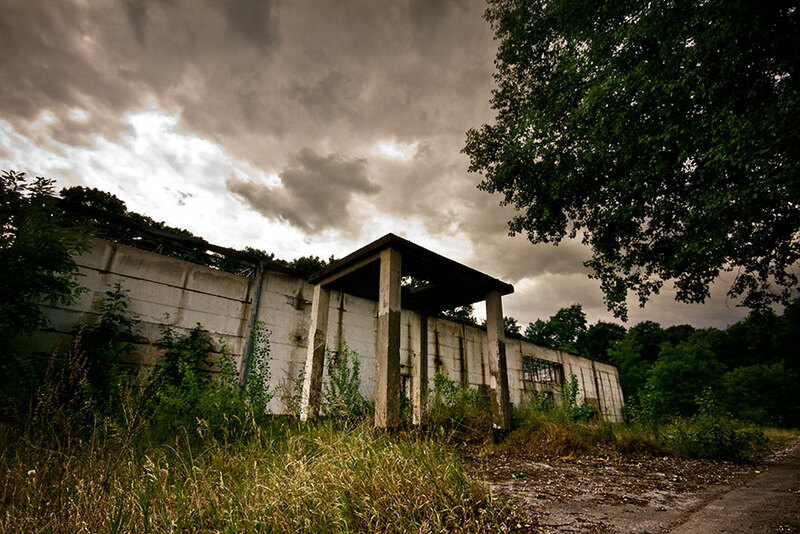 The stadium, home of the Braves from1966-1996, was imploded to make room for a parking. Seats for reporters remain desolate in 2014. 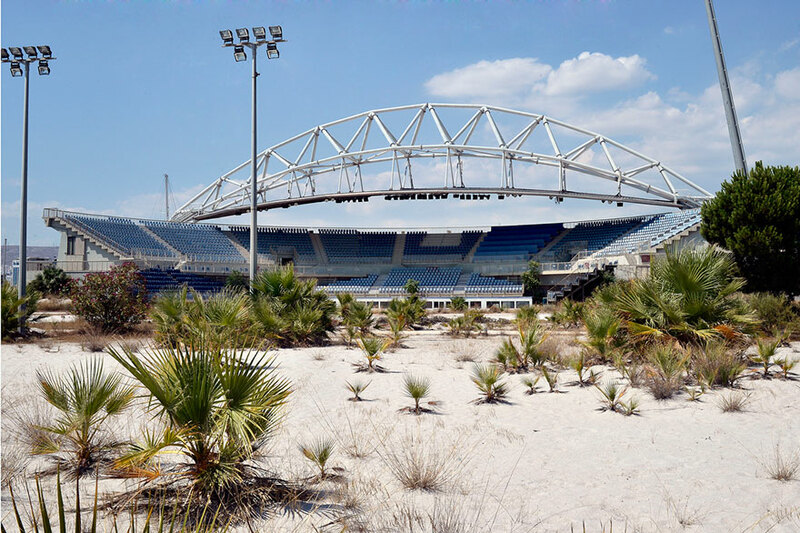 General view of the Beach Volleyball Olympic Stadium at Faliro Olympic Complex in Athens, Greece on July 31, 2014. Ten years ago the XXVIII Olympiad was held in Athens from the 13th - 29th August with the motto 'Welcome Home'. 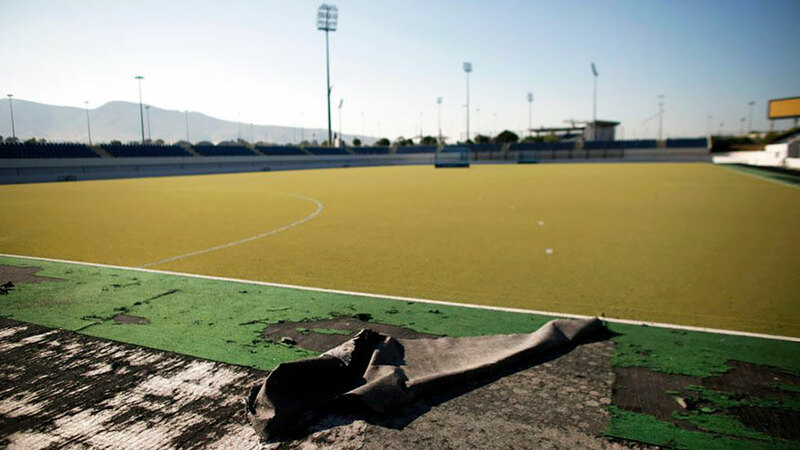 The cost of hosting the games was estimated to be approx 9 billion euros with the majority of sporting venues built specifically for the games. 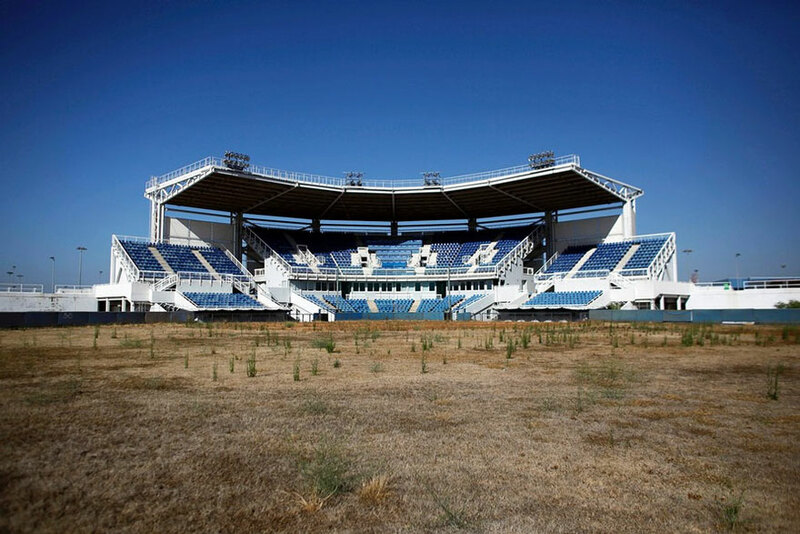 Due to Greece's economic frailties post Olympic Games there has been no further investment and the majority of the newly constructed stadiums now lie abandoned. 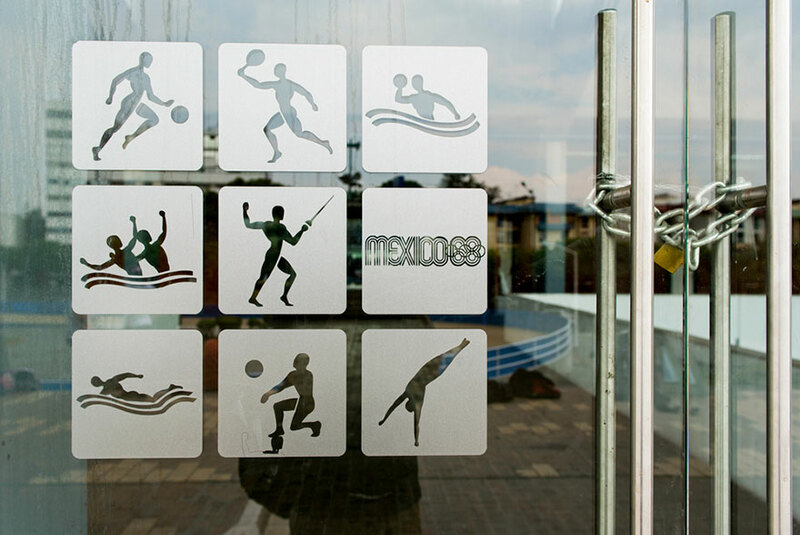 1968 Olympic logo on door at Francisco Márquez Olympic Pool, Mexico City. 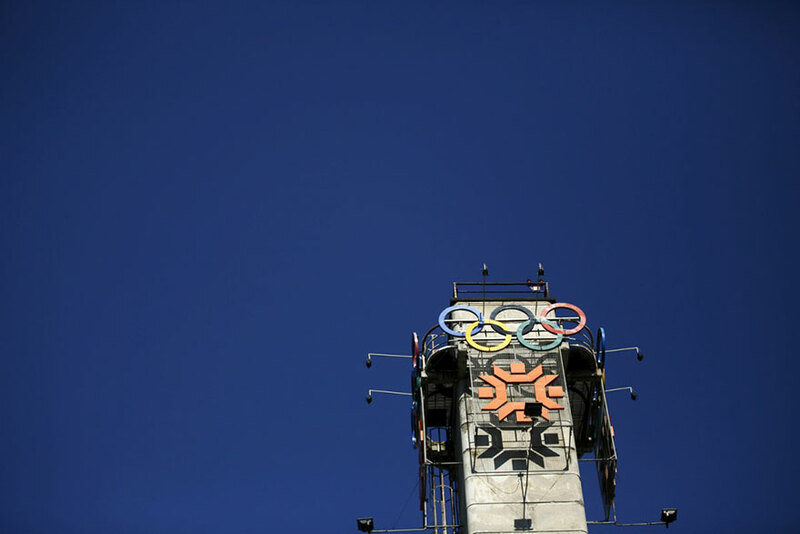 The logo for the 1968 Games, created by American graphic designer Lance Wyman, has become one of the most iconic Olympic-related graphics and is still seen throughout the city. 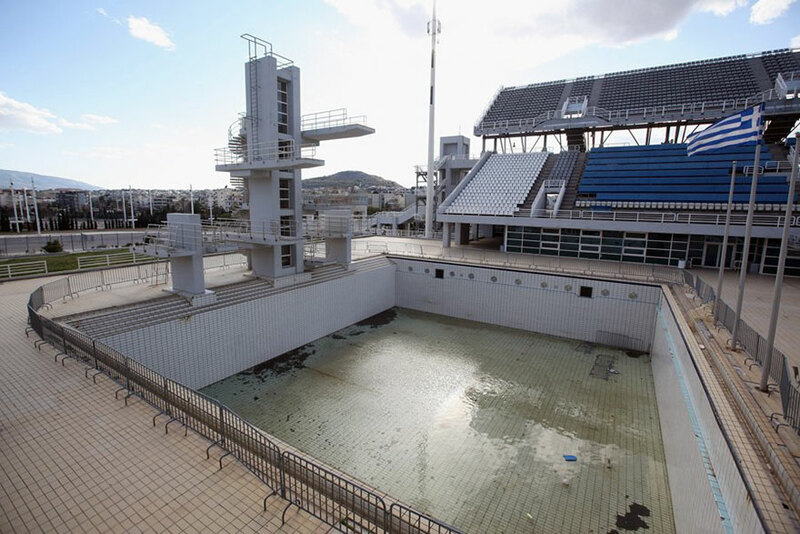 Water is drained from the diving pool which forms part of the Olympic Aquatic Centre in the 2004 Olympic Games Complex on February 18, 2012 in Athens, Greece. 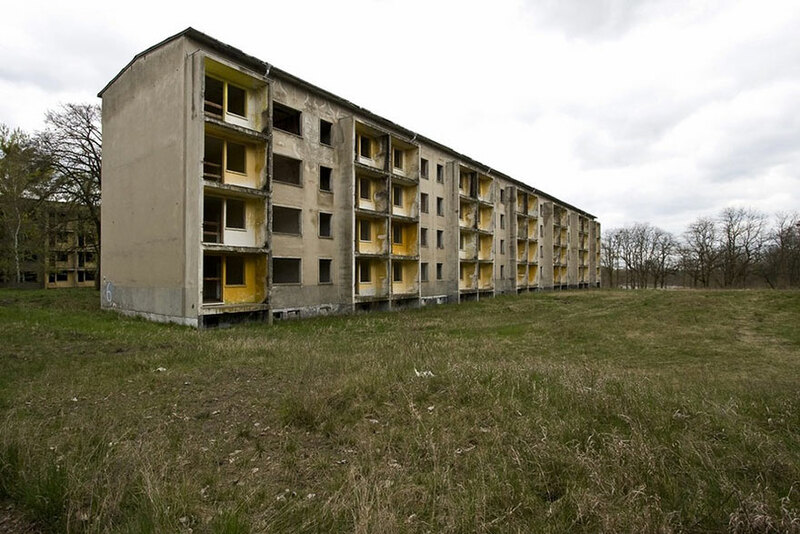 Deserted houses for the athletes in the former Olympic Village for the 1936 Berlin Olympic Games. 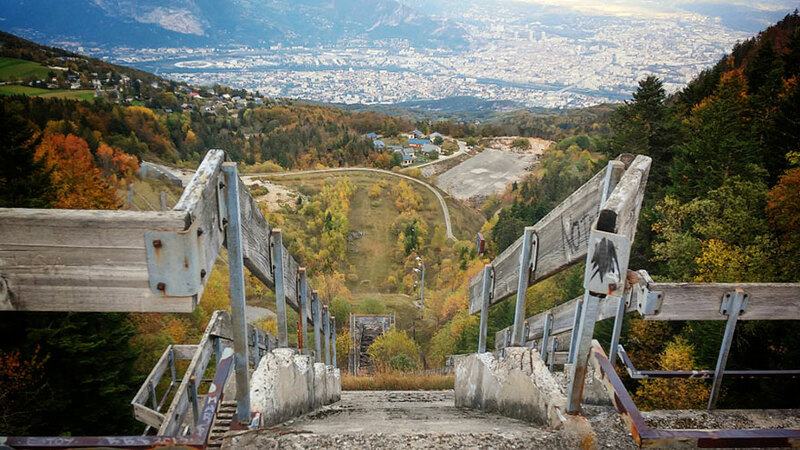 A view of the disused ski jump from the Sarajevo 1984 Winter Olympics on Mount Igman, near Sarajevo, Sept. 19, 2013. 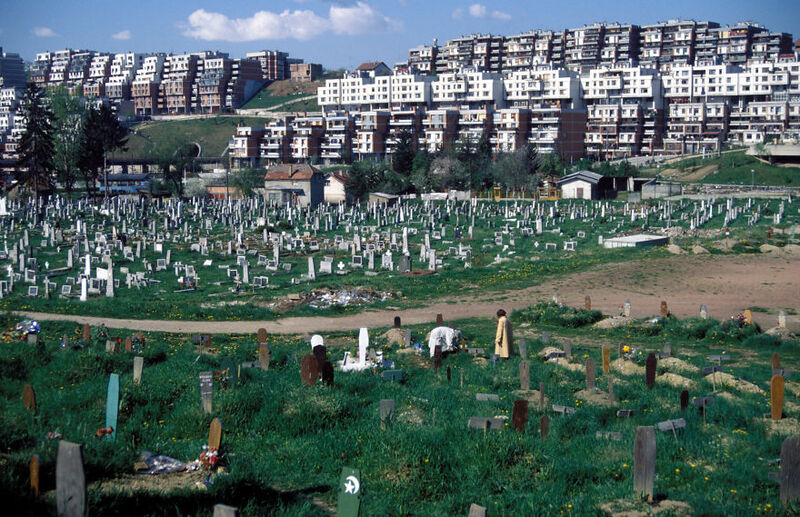 Abandoned and left to crumble into oblivion, most of the in Bosnia's capital Sarajevo have been reduced to rubble by neglect. 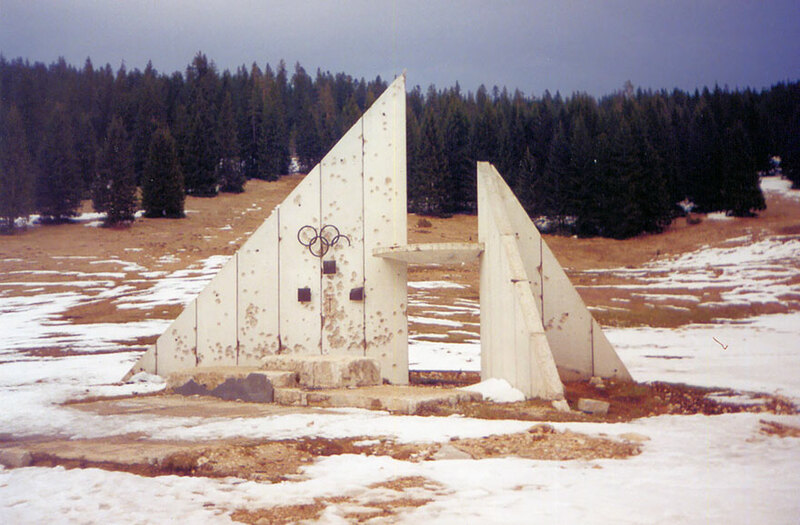 Most of the venues from the 1984 Winter Olympics near Sarajevo, Bosnia have been neglected and nearly reduced to rubble. 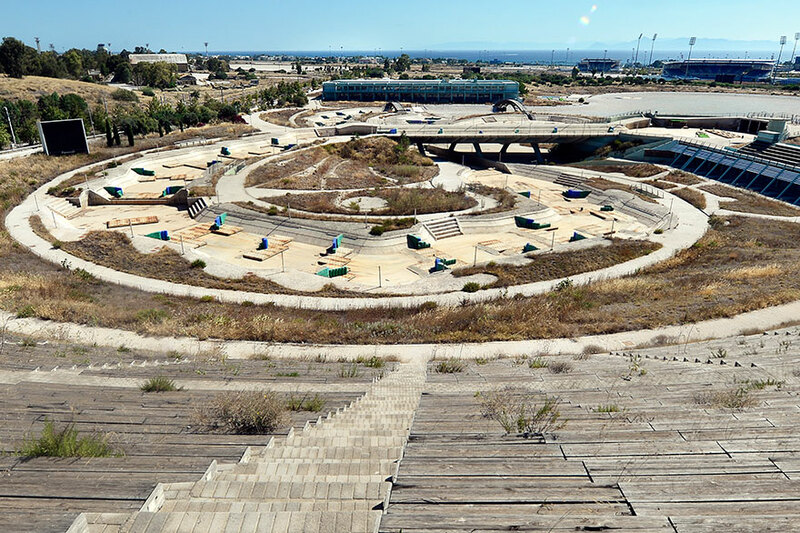 View at the Helliniko Olympic complex in 2014. 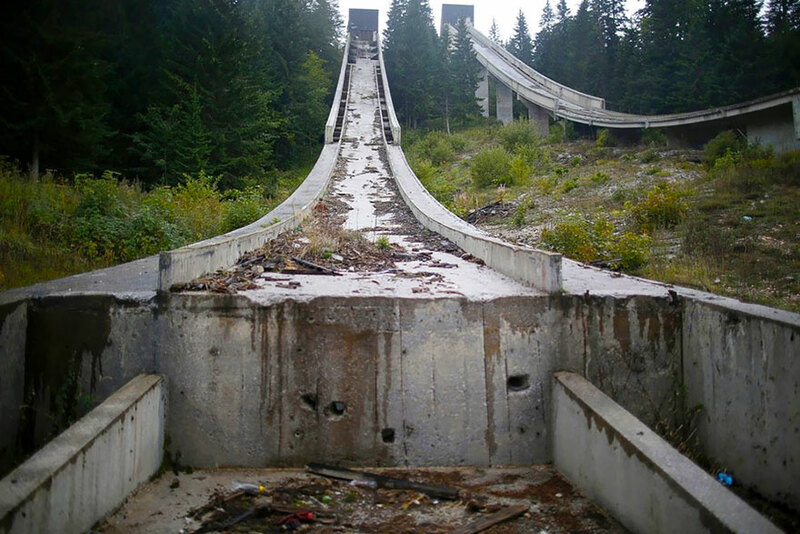 The bobsleigh and luge track at Mount Trebevic, the Mount Igman ski-jumping course and related infrastructure are crumbling more and more with each passing year. 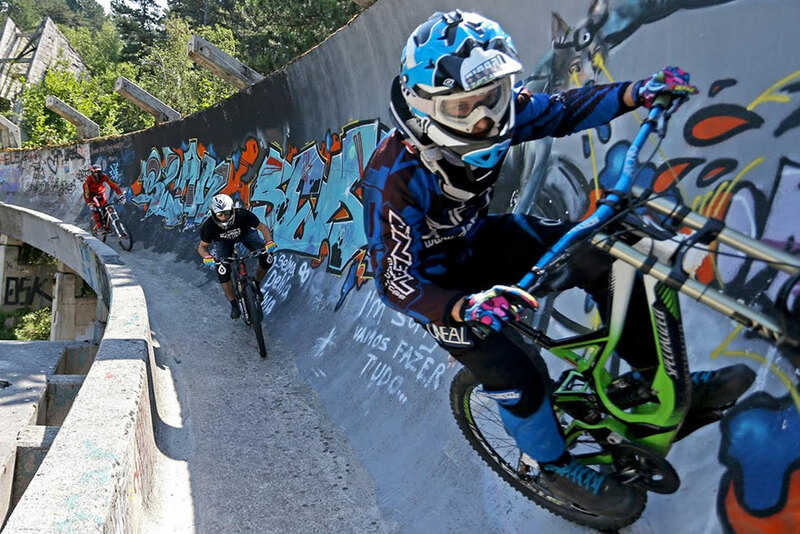 But adrenaline, fear and exhilaration are back on the bobsleigh track as downhill bikers Kemal Mulic, Tarik Hadzic and Kamer Kolar train on the graffiti-covered concrete. 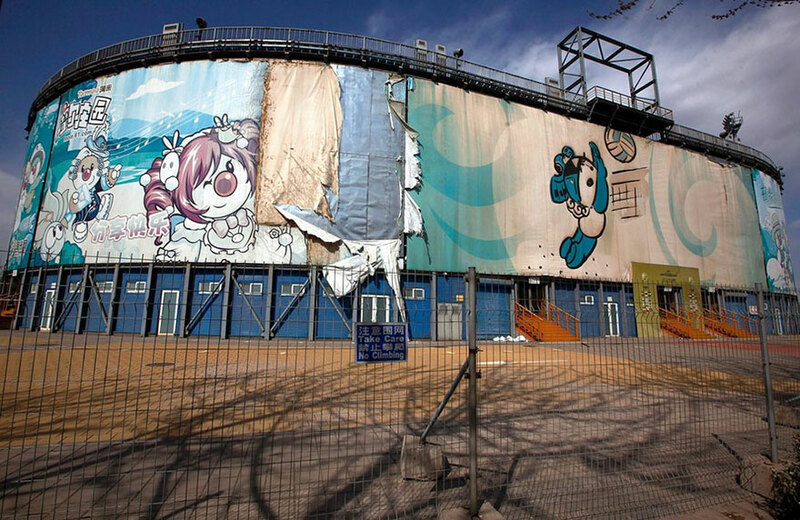 Nini, left, and Yingying, two of the five mascots for the 2008 Beijing Olympic Games, are seen lying among trees behind an abandoned, never-completed mall in Beijing. 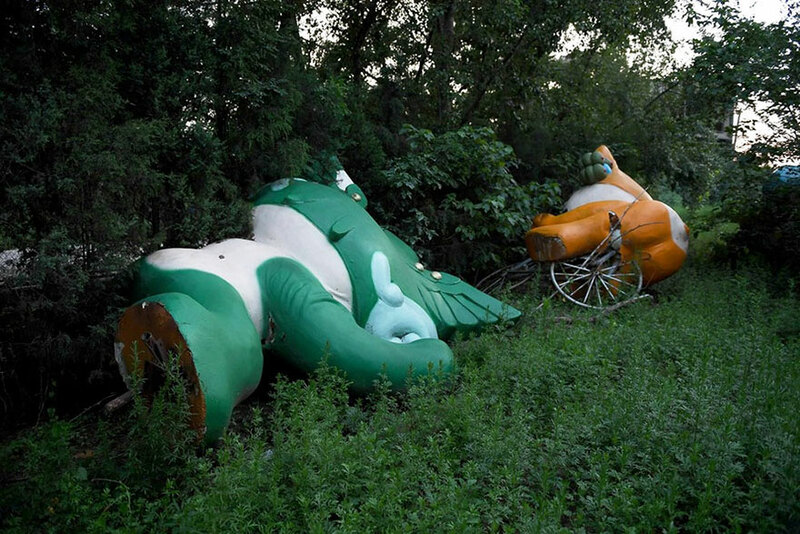 The fallen mascots are a reminder of the high costs of hosting the event. 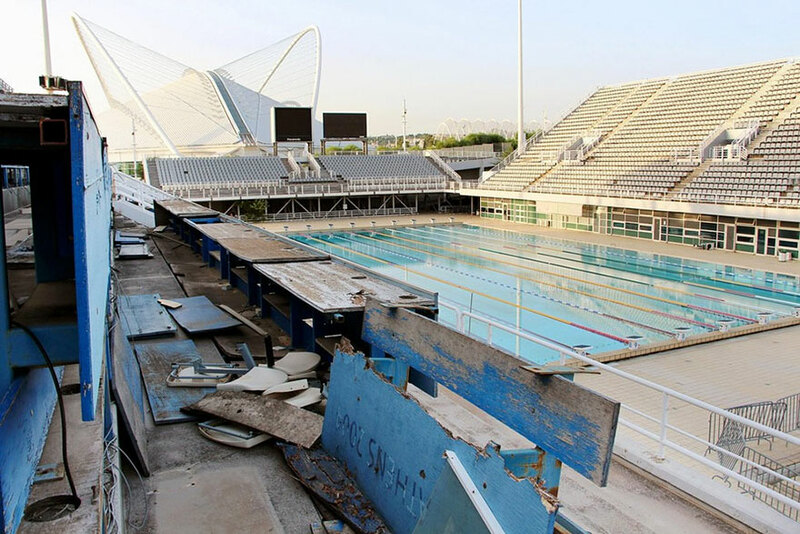 Their derelict state reflects the challenges that China has faced in finding new uses for its Olympic investments, with many venues falling into disrepair and some construction projects left incomplete. 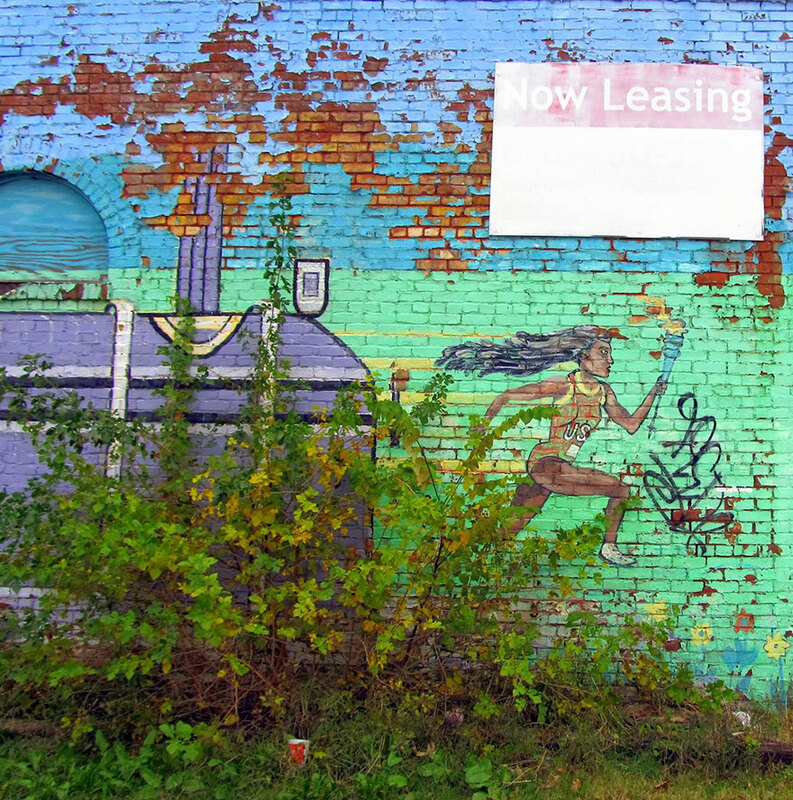 A mural of a woman running with an Olympic torch-- graces an abandoned building in Mechanicsville, one of Atlanta’s oldest neighborhoods. Neighborhoods such as this one, a few blocks from the former Olympic stadium, experienced the greatest displacement. 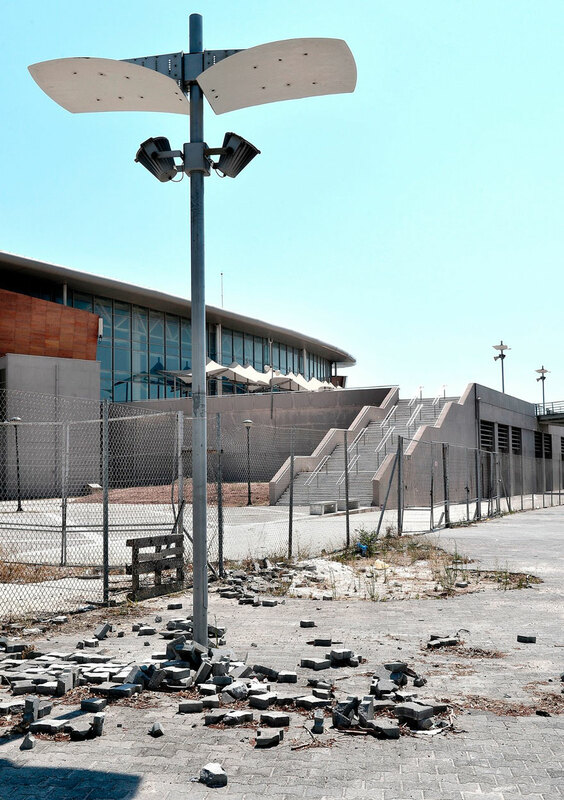 View of derelict stands at the Olympic Baseball Stadium at the Helliniko Olympic complex in Athens, Greece, July 31, 2014. 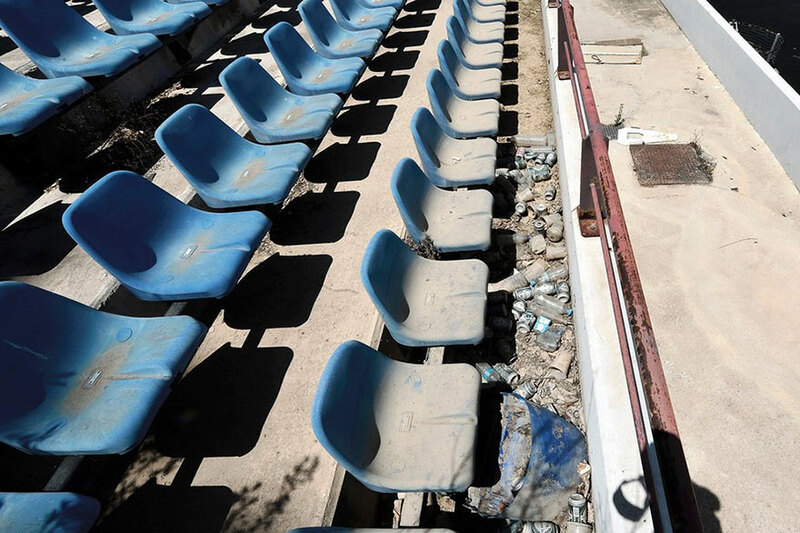 Due to Greece's economic frailties after the Olympic Games, there has been no further investment and the majority of the newly constructed stadiums now lie abandoned. 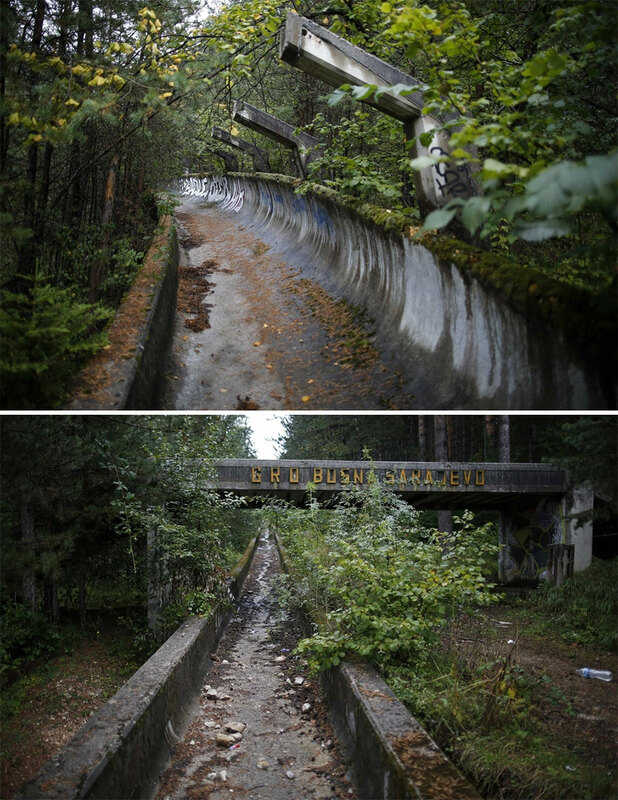 The disused bobsled track from the Sarajevo 1984 Winter Olympics is seen on Mount Trebevic, near Sarajevo, September 19, 2013. 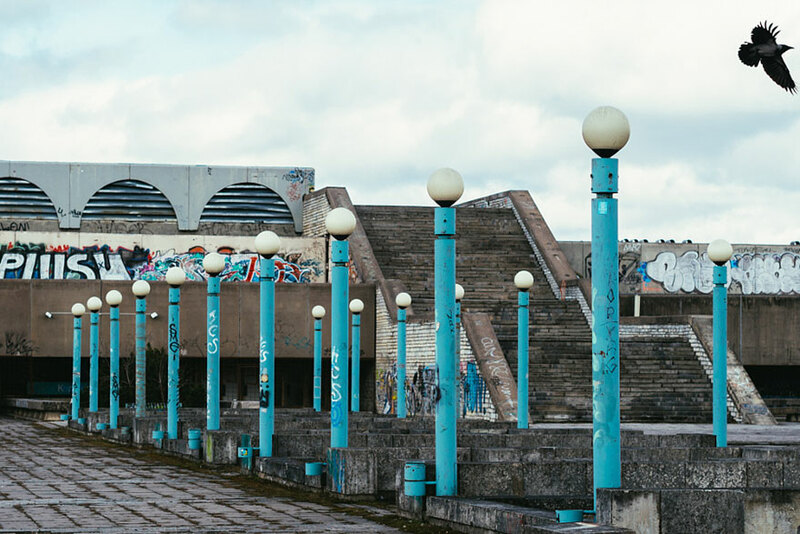 Abandoned and left to crumble into oblivion, most of the 1984 Winter Olympic venues in Bosnia’s capital Sarajevo have been reduced to rubble by neglect as much as the 1990s conflict that tore apart the former Yugoslavia. 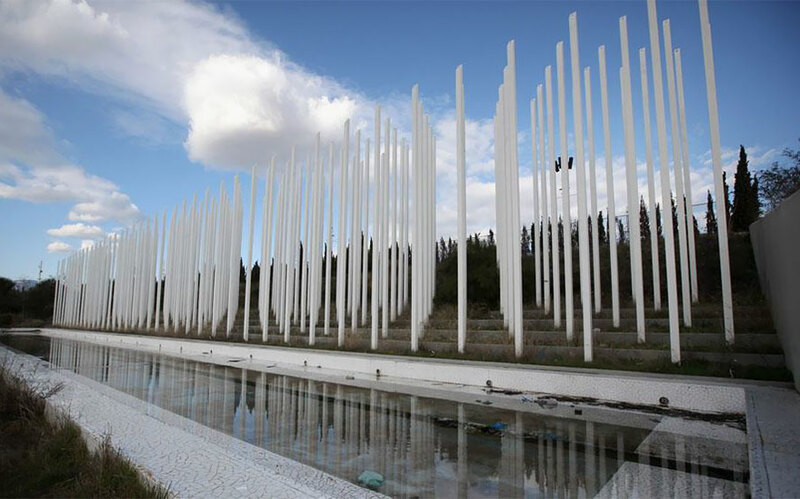 A graveyard has been established in what was once part of the Olympic Sports Complex in Sarajevo for the 1984 Winter Olympics. 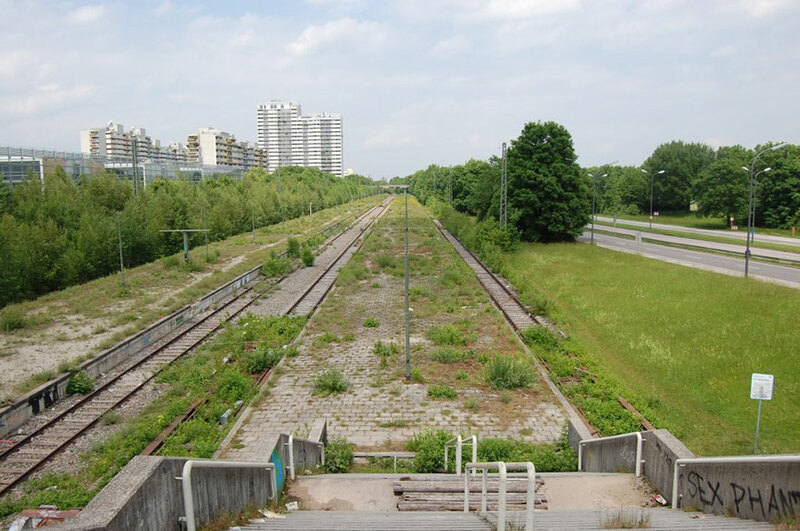 The athletes village of the Summer Olympics in Berlin in 1936 was located in Elstal (today part of Wustermark) and was designed by Werner and Walter March. After the war, the Soviet occupation army withdrew an on-site and used it until 1992.